Included with your move is our Pad and Wrap Packing Service. All wood cabinets, dressers, coffee tables, kitchen tables, couches, TV’s, et cetera are protected using our special blanket wrapping techniques. Moving blankets cover the items listed above which are in turn held in place with tape or shrink wrap. We do this before loading your goods onto the truck to protect your most expensive and delicate furniture, while also stopping damage to the walls and door jams of your house. Packing your kitchen or pantry can be time-consuming and tedious work during an already stressful move. Please inquire about our Cupboard to Cupboard Packing Service. We use only high quality moving supplies, and our crews are trained and knowledgeable in all the latest packing techniques. Contact us today to find out which packing service fits your move the best. Fantastic!! From start to Finish the experience was a pleasure. Wade, provided me with all the supplies I needed for the move and answered all my questions. The movers were fast, friendly and thoughtful with my family belongings. Would highly recommend Clydesdale!! When you move out of your old place, you just want it to be stress and hassle free. But there is usually a little, or even a lot of cleaning to do first. If you’re in a rental, you want to make sure you get your damage deposit back. Our Clydesdale Maidens can clean on both ends of your move. Two competent ladies will come in with eco-friendly cleaning products and make sure your old home is ready for its new habitants. If you want help in your new place, after our movers have left and removed the packing boxes and materials, we’ll polish up your new place so you have a fresh and clean start in your new home. 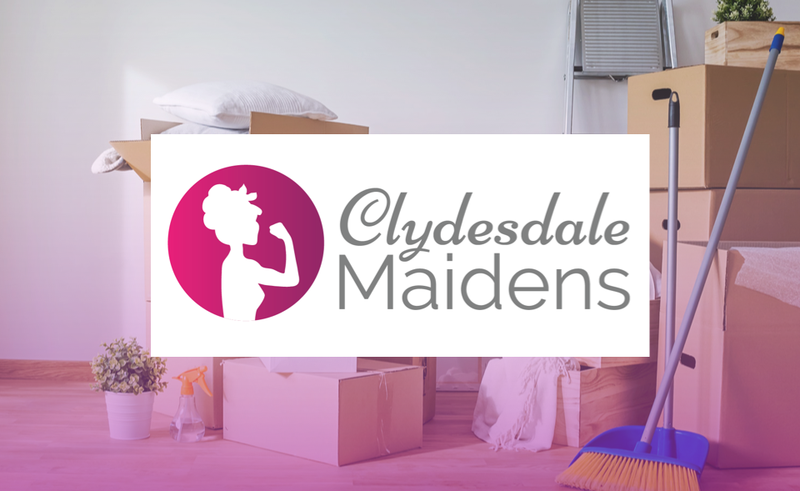 At Clydesdale Maidens we pride ourselves on delivering the best cleaning service possible. We back our cleaning services with a 100% satisfaction guarantee as your satisfaction is important to us! Our house cleaning services are very flexible. We can provide regular or occasional maid services based on your cleaning needs. We are competitively priced and no contract is required for our services. Our objective is to take the cleaning out of your hands so you have time to do the things you enjoy.